Internsheeps is not intended for children under 13 years of age. 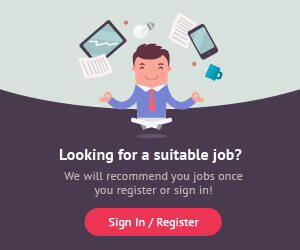 Internsheeps collects information about you and uses this information to help you connect with employers and other job seekers and to provide other services to you. This policy describes how your information is collected and used and your choices with respect to your personal information. This policy applies to information we collect on sites and applications owned or controlled by Internsheeps or its affiliated companies (“Internsheeps”). Internsheeps is not responsible for the data use practices of ad networks, other parties with whom we work with to provide you personalized services, or those who access your information on our sites or applications. We collect the personal information you choose to provide us. We also collect non-personal information about you, which includes demographic information and how you use and interact with Internsheeps. We may also acquire information about you from third parties to further personalize and enhance your experience. We use the information we collect about you to deliver the products and services we offer, respond to you, and operate and improve our sites and applications. Our services include showing you personalized content and advertising on Internsheeps or other sites with which we have a business relationship. We may use your information to contact you about Internsheeps updates, conduct surveys, or to provide informational and service-related communications, including important security updates. Information you share in public areas of Internsheeps may be accessed, used, and stored by others around the world. We strive to provide a safe, secure environment by attempting to limit access to our database to legitimate users, but we cannot guarantee that unauthorized parties will not gain access. We also cannot control how authorized users store or transfer information you give to us, so you should not post sensitive information to Internsheeps. We share your information with third parties who help us deliver our products and services to you. These third parties may not use your information for any other purpose. With your consent, we may use your information to contact you about products or services available from our affiliates. With your consent, we may disclose your information to third parties who may contact you about their products or services. We also share information where legally required. We may disclose and transfer information to a third party who acquires any or all of Internsheeps’s business units. We store your information to make your interaction with Internsheeps more efficient, practical, and relevant. You may review, update, or delete the personal information you share with us at any time by accessing your account. When you delete your personal information, we will retain logs and non-personal information about you along with an archival copy of your information, which is not accessible by you or third parties on the Internet. If your personal information was previously accessed by others using Internsheeps, we are unable to delete the information from their systems. You may turn off cookies. This will adversely affect your use of Internsheeps.